The book provides a balance between analytical discussion of the principles and the practical application of the law and includes numerous illustrations and practice-related situations for this purpose. The book provides a balance between analytical discussion of the principles and the practical application of the law and includes numerous illustrations and practice-related situations for this purpose. It offers students an intensely detailed and integrated portrait of the litigation process (including procedure and advocacy) and is therefore a vital source of reference for their studies. The book recognises that this subject is particularly difficult primarily because of the difficulties inherent in the Evidence Act (a significant part of which remains in the state it was enacted in 1893), and the tension between this statute and the constantly developing common law. No effort is spared in tackling these problems and examining all applicable sources of law. This highly successful publication has already sold thousands of copies in the course of the first five editions. Highly acclaimed in and out of Singapore since it was first published 25 years ago, this work covers all developments since the fifth edition was published in 2015 with legislative and case law updates, specifically: 1. Amendments since the last edition covering many critical case law developments in multiple areas. 2. 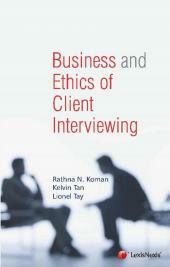 New chapter on ethical conduct in the course of litigation (see chapter 24). 3. 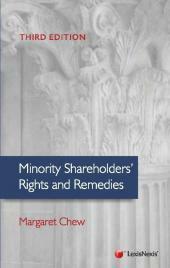 Significant improvements to the majority chapters through comprehensive and intensive analysis of principles and laws. 4. 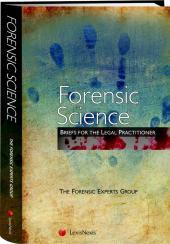 Guidance throughout the book on approaches to difficult evidential points. 5. Highlighting critical areas for consideration of judges, practitioners and students. Jeffrey Pinsler, SC is Geoffrey Bartholomew Professor of Law specialising in civil justice, civil and criminal evidence, procedure and ethics, and Senior Professorial Fellow of the Singapore Institute of Legal Education. He is Senior Counsel and Barrister and a member of various professional committees of the Supreme Court and Academy of Law including the Board of Governors of the Singapore Judicial College, the Civil Justice Commission, the Council of Law Reporting, the Professional Conduct Council, and the Rules of Court Working Party. He has appeared as amicus curiae before the Court of Appeal, and has spoken at, and contributed to, conferences and reform programmes in various countries. He has produced 25 major text books and reference works to date in his capacity as Author and/or Editor in Chief or Consultant Editor, as well as multiple articles. His books and articles are frequently relied on by judges as authoritative sources.